Convened meeting of academic and third sector experts on how the UK might approach monitoring food insecurity. Strategic adviser to London Food Flagship Boroughs, Mayor Boris Johnson’s comprehensive initiative to tackle childhood obesity in two London boroughs. Served as an adviser to Healthy Retail SF, led by San Francisco’s Office of Economic and Workforce Development and Department of Public Health. Advised Sandwell Metropolitan Borough Council on how to advance its health and sustainability agenda. Co-author of Measuring Household Food Insecurity in the UK, making the case for regular government monitoring of hunger in the UK. Co-author of Capital of Food, a report celebrating a decade of work by London Food Board and its many community, business and academic partners. Conducted an inventory of strategies to increase consumption of fruits and vegetables in low-income communities for Upstream Public Health. Researched how transportation policies and design standards can improve food access by making it easier for people to walk, bike, or use transit to access farmers markets and grocery stores for the New York City Department of Public Health and Mental Hygiene. Wrote case studies on best practices for incorporating beans and grains in U.S. farm to school initiatives. Findings included in case studies found in the Institute for Agriculture and Trade Policy’s Using Regionally Grown Grains and Pulses in School Meals. Conducted market research on opportunities for promoting physical activity in rural Kent, UK. Evaluation of the economic impact of International Rescue Committee’s New Roots program, which engages refugees in small-scale entrepreneurial urban gardening. Developed an evaluation workbook for healthy corner store programs for the California Department of Public Health (forthcoming). 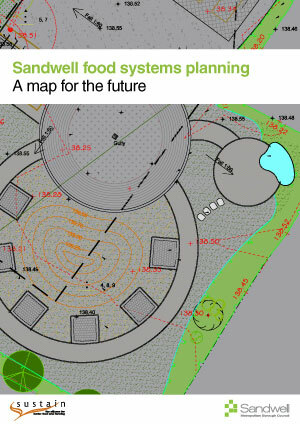 Sandwell Food Systems Planning: A Map for the Future. This report describes more than a decade of food systems work in Sandwell Metropolitan Borough Council and identifies strategic opportunities for advancing the work through partnerships between local government, civil society organisations and community members. Incentive s for Change. Small food retailers need various forms of support to stock more healthy options. This fact sheet lists incentives that reward small business innovation, offset financial costs associated with store upgrades, and lay the foundation for expanding healthy food retailer initiatives through citywide policy. Taking Stock: Creating Healthy Changes at Grocery Stores and Small Markets. Health departments can work with store owners to stock healthy food choices. The California Department of Public Health developed the CX3 tool (Communities of Excellence in Nutrition, Physical Activity, and Obesity Prevention) help advocates design healthy store interventions. The fact sheet lists strategies for increasing fresh, nutritious food. My Neighborhood, My Store. This fact sheet discusses strategies for building community support for healthy changes in small stores.